He’s written one of the most enduring songs of this scene, yet most casual fans don’t even know his name. That’s a shame because Mike Ethan Messick is a songwriter to be reckoned with and properly appreciated. 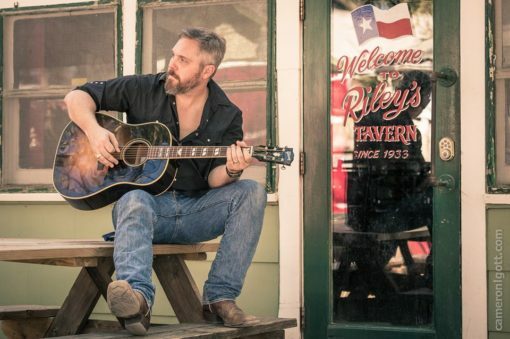 He cut his teeth in the College Station environment that birthed many of his peers (Jamie Lin Wilson, Larry Hooper, Roger Creager, Dub Miller), but he’s found his groove in the lower Hill Country. Over the past decade, Messick has continued to gig part-time and write full-time. Each of his original songs is a slice of Texas life normally only observed in song form from greats such as Guy Clark or Terry Allen. Messick is good with prose too and could have probably written himself a better preview blurb than this one. We’re glad to have him back at our event and paired with the other three named M act, Mark Allan Atwood. Mike Ethan Messick | Galleywinter < Liked it! What’s up to every one, it’s really a fastidious for me to pay a quick visit this website, it includes helpful Information.